Sri Lanka – known for its ancient religious sites, world-famous Ceylon tea, and world heritage destinations – is also home to some truly magnificent nature reserves, teeming with all sorts of wildlife, from leopards to whale sharks, crocodiles, peacocks, elephants, and sloth bears. For outdoorsy first-time visitors, it can be a little overwhelming to decide where to go, especially on a budget; fortunately, we’ve got a general breakdown for aspiring hikers and animal lovers. Quite fittingly, Sri Lanka is home to the world’s first wildlife sanctuary, Mihintale, which was the site of a holy meeting between the Buddhist monk Mahinda, and a third-century Sri Lankan king known as the Deer Hunter. 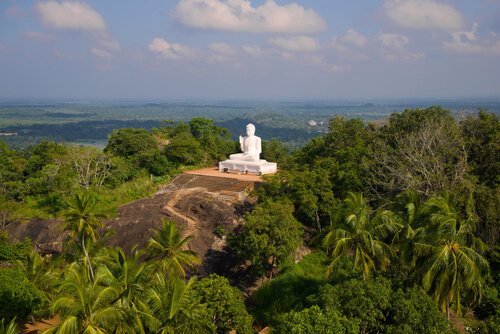 With such a noble calibre of historical and religious heritage, as well as an ancient royal precedent for protecting nature, Sri Lankans take environmental preservation quite seriously. On the flip side, this also means that Sri Lanka’s national parks can have pricey entrance fees that don’t include various service charges, such as the cost of a tracker guide, park maintenance, and local taxes. All park visits require the use of a jeep, which can easily be arranged through hotels. In order to properly safeguard these delicate ecosystems, jeep drivers also serve to instruct visitors on appropriate locations to get out and take photos, or to get a better look at the local wildlife wherever possible. Besides these Sri Lankan safaris, there are countless opportunities to take scenic hikes all over the island, regardless of fitness level. General tips for hikers include packing for cold, wet weather at higher elevations, and being prepared to trek through difficult conditions such as tropical rainstorms (beware of lightning) and heavy mist – advanced hiking in Sri Lanka might involve experiencing multiple ecosystems in one day. Nature enthusiasts and birdwatchers should come prepared to identify precious flora and fauna – study up on specific animals you’re keen on spotting, as not all parks have elephants and leopards – for instance, sloth bear enthusiasts should head to Wilpattu National Park, where they have the best chances of seeing these adorable, but painfully shy nocturnal creatures. If you’re planning an outdoor-centric trip to Sri Lanka, read up on its national parks, and make reservations way in advance. Local tourists enjoy much cheaper rates at national park lodges, so these tend to book up quickly. The most reliable way to make reservations is through Sri Lanka’s Department of Wildlife Conservation, where visitors can check traffic information, make park bungalow reservations, and download a handy smartphone app. It is a truth universally known that wild animals are early risers, so be prepared to wake up bright-eyed and bushy-tailed to hit the parks by 6.30am. Savvy nature lovers should find out local sunrise times for optimum viewing of the more elusive animals, like leopards. It’s worth the price, because a good guide will ensure that you arrive on time to spot rare animals, and more importantly, avoid groups of other tourists. You can also get guides for walking tours of the highlands, where things can get unexpectedly complicated with leeches, the occasional aggressive wild boar, and sudden thunderstorms. It is best to negotiate guide rates in advance and anticipate an additional 10% service fee. Most official guide operators do not expect tips. A basic rule of thumb is: the more remote the location, the less chance that you’ll have to compete with large tourist groups. 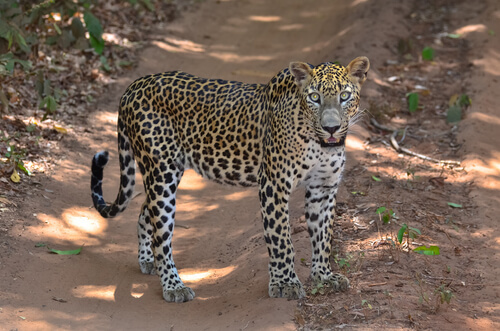 Yala National Park is a popular place for leopard sightings, but can become stiflingly overcrowded, which puts a damper on the whole 'safari wilderness' vibe. If you’re looking for a more serene safari experience, consider putting in the extra legwork to check out more remote parks like Wilpattu, or the pristine Gal Oya National Park. Wherever you decide to go, bring a swimsuit and a rain jacket, as the great Sri Lankan outdoors is peppered with waterfalls (over 400 of them, though not all are accessible). 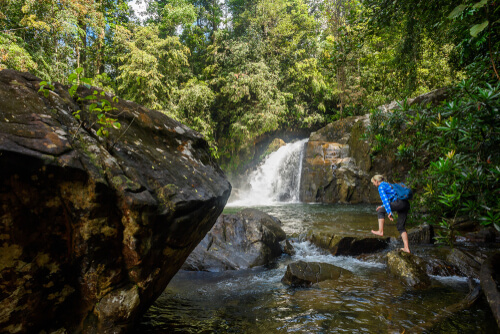 Avoid only bringing flip-flops/thongs – pack sensible footwear with a good tread, as some of the trekking (even on a light, easy trail) might involve crossing over wet, slippery rocks. A quick-dry travel towel will come in handy, too. There is a wide range of terrain and trails suitable for all fitness levels, especially around the Sinharaja Rainforest, a World Heritage site that offers a spectacular range of biodiverse flora and fauna. Research trails and trail difficulty ahead of time to avoid unwanted surprises and confusing directions. For instance, Meemure is touted as one of the most beautiful nature spots on the island but can involve some extremely challenging vertical hikes. The Knuckles (also known as the Dumbara) are a spectacular mountain range located along the northern bit of central Sri Lanka, between Kandy and Matale. This World Heritage area boasts a rare dwarf cloud forest and is home to several traditional villages. Wildlife includes various types of deer, mongoose, purple-faced leaf monkeys, over 200 species of birds, and unique reptiles like the leaf-nosed lizard. About a fifth of the flora here is native to Sri Lanka. In recent years, elephant tourism has come under scrutiny in many countries for instances of abuse and malpractice. If you’re keen on seeing these majestic creatures up close, it is always best to observe them in their natural habitat. We recommend Wasgamuwa National Park, which is still home to numerous family groups of wild Sri Lankan elephants. If your travels take you through Galle, make a pit-stop nearby at the Elephant Transit Home in Udawalawe, where visitors can watch baby elephant feedings at scheduled times. There are also volunteer opportunities at elephant sanctuaries. Stay flexible, stay patient, and be prepared for anything. Bring your own water bottle, and if you’re doing a multi-day trek, consider getting water purification tablets or a smart filter straw. Bring along a plastic bag or container to keep your rubbish. Always bring snacks, in case it takes you longer than expected to get back to civilization – nobody wants to get hangry in the wild.